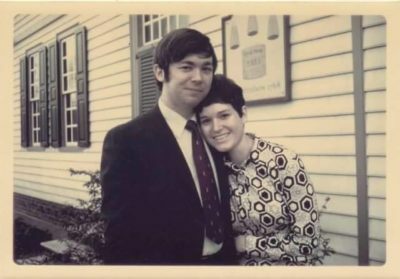 My parents (pictured here in 1966, the year they got married) don’t live in a part of the country where snowblowers are standard issue, but last year my dad got one for the first time. The plan, my mom explained, was that Daddy had bought the snowblower but Thomas from next door (who was trained as an engineer) was responsible for assembly and maintenance; Walt across the street (who has the biggest garage) would store the snowblower. Thomas and Walt are free to use the snowblower, as long as they keep my parents’ driveway and sidewalk clear when it snows. “Your dad probably COULD still do it himself, but it’s better for everyone that they joined forces,” my mom said sagely. Why am I telling you this story? Keep reading. I started Jessica Broome Research as a solopreneur. But I quickly started bringing in other freelancers as needed, because, just like I don’t want my 75-year-old dad out shoveling snow, you probably don’t want me moderating your focus groups in Urdu, or transcribing 50 interviews instead of strategizing how research findings can help your business. Now, my hive has expanded to include Raeka and Ted, who keep all the trains running on time; Julia and Jordan, moderator and project manager to the stars; and Ruth, who makes everything look good. I feel like it’s not accurate to keep calling myself Jessica Broome Research. While I still have my hands in every project we do, I’m not the one handling everything, and in fact I probably couldn’t do it, or do it as well, without the work of these amazing people. 3. The term usually refers to a left-handed pitcher, and my whole family loves baseball, so it’s a way for me to honor them. 2. I am one! Along with Oprah. Bill Gates, and Barack Obama. 1. And most importantly… Southpaws are known for being creative, thinking outside the box, and using “divergent thinking,” or looking at different ways to solve a problem. Isn’t that who you want doing your research? Want to learn more about how we work, pick our brains about research, or just say hi? Visit our new website or shoot us a message! We’d love to talk to you.